The Century Sunrise Redevelopment project, located at 135-139 Baldwin Street in the Village of Johnson City is a mixed-income, mixed-use redevelopment project that includes 104 residential units ranging from one to three bedroom apartments and a 3,500 square foot multi-level restaurant with garden space. The site is located in close proximity to UHS Hospital, one of the area’s largest employers, and the future site of the Binghamton University School of Pharmacy & Pharmaceutical Sciences. By 2018, the new Pharmacy School will bring in 300 undergraduates, 60 graduate students and its employees, creating a need for nearby housing and commercial space. 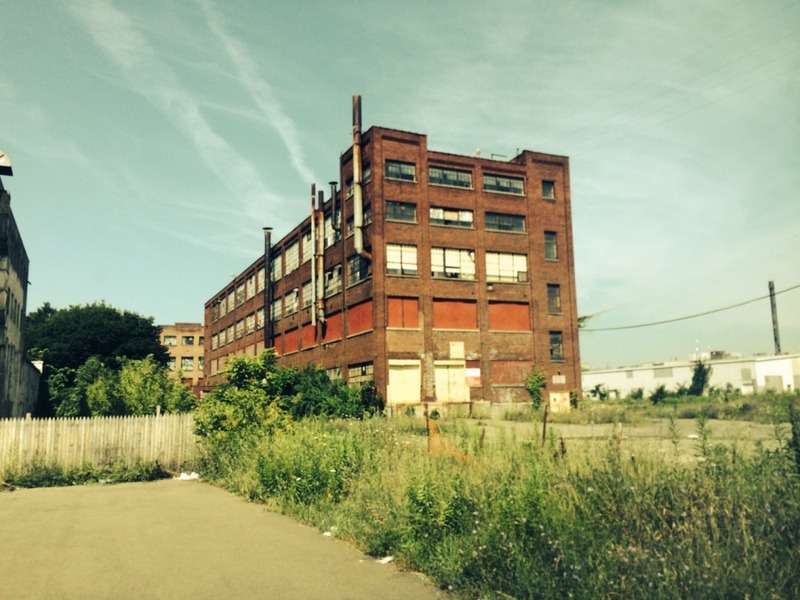 The project will create attractive and diverse quality housing and transform a historically significant industrial shoe factory site into a vibrant neighborhood asset. Endicott-Johnson at one time was the largest producer of footwear in the U.S. At its peak, Endicott-Johnson operated dozens of factories in the Triple Cities area and outside the region. By World War I it was the world’s largest shoe manufacturer, employing more than 30,000 workers. It was the goal of the founders of Endicott Johnson to create housing opportunities for their employees close to where they worked and the Century Sunrise Redevelopment seeks to mirror and recreate these goals. The project is in a primary market area with a limited supply of newly built, energy efficient rental apartments, which will serve both market rate renters and affordable small households. The common areas of the buildings will be handicapped accessible and include recreation areas, a children’s playground, laundry faculties, and a large community room with kitchen. The development also will include a passive park with seating space. There will be ample tenant off street parking as well as a space for bicycles. Regan Development Corporation will be responsible for overseeing all aspects of the development and operation of the project. Regan Development Corporation is a family run business that has developed over $384 million of residential and commercial real estate and affordable housing developments throughout New York, New Jersey and Connecticut. The total estimated project cost is approximately $29 million. Regan Development Corporation plans to utilize federal and state housing tax credits, Historic Tax Credits, and CDBG Disaster Relief funds to help finance the project. The developer is also requesting $1.3 million from the Southern Tier Regional Economic Development Council Round Five funding to assist with project financing. The project will create over 140 construction jobs and approximately 20 or more permanent jobs between the project’s housing and commercial components. For more information on Regan Development Corporation, go to www.regandevelopment.com.